People are always concerned with the latest diet trends and fads. The true way to long-term weight loss is something that people cannot find in an exercise DVD program that they ordered off-line or from a television commercial. There are fundamental practices that every person should follow in order to achieve healthy and safe weight loss. 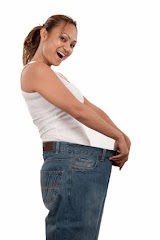 In this article I am going to review several of these practices that people have followed for significant weight loss and improved health. If you want to successively lose weight you have to be determined and be truly committed to your goals. Many people say they want to lose weight but they refuse to make the necessary sacrifices in order to reach their target body weight. I find it always better to write my objectives down. I write down and make a list of my goals and I review them each and every morning when I wake up. So your first step is to write down everything that you want. Let's start out slow and make your first goal for weight loss realistic. For example let's make our first goal to lose 10 pounds over the next four weeks. If you follow a sensible diet as well as a simple daily exercise routine, losing 10 pounds in four weeks is not really that difficult. Again remember when I said that you have to be committed? This means that instead of having a coffee with extra cream and extra sugar for breakfast followed by a sugar jelly doughnut and a bagel with cream cheese you should instead be eating a good healthy breakfast consisting of a little bit protein and of good healthy starchy carbohydrate such as a piece of fruit. So for breakfast at fat-free yogurt with a cup of fruit would be a perfect breakfast for you. Now once you have reached your initial goal for your targeted body weight you have to continue making new goals. I have found that the majority of people that are really successful at weight loss keep a daily journal. In this Journal you should list everything that that you have eaten over the course of the day, everything that you have drank over the course of the day and the exercises that you have performed for that day. You can even write down how certain foods affect you. I know from personal experience that certain foods cause me to become bloated, while other foods caused me to belch quite a bit after eating them. If certain foods cause you certain discomfort like gas, bloating and excessive belching then you should probably be mindful of these foods and try to avoid them in the future. 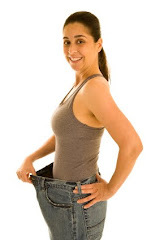 So far I have reviewed three of the top things that you should do in order to lose weight. They are have the determined mindset, set realistic goals and keep a daily journal noting the foods you have eaten during the day and how they have affected you; the beverages you have drank throughout the course of the day and your exercise and daily activity for that day. One of the most important factors in any weight loss program is daily exercise or physical activity. So it is imperative that you exercise almost every day of the week. Now depending on your physical fitness level sometimes just walking for a straight 60 minute time period is all but you can possibly do. And this is perfectly fine. For most of our new weight loss clients all they really need to do is walk every day making sure that they keep their heart rate between 60 and 65% of their maximum heart rate. This not only burns fat but also helps improve their cardiovascular health. For those of us that are more physically fit it's a good idea to have a varied exercise routine consisting of high intensity training for a short duration of time. In a program like this, one can interchange high intensity cardio training with explosive resistance training. Finally I would like to point out that the majority of us have a very difficult time doing all that I have mentioned above on their own. Because of this, it is always an excellent idea to work with a weight loss specialist. People who consult us for their weight loss are provided with a detailed nutritional plan as well as a personally designed exercise program. We outline in detail the foods that a person should be eating in order to achieve the maximum weight loss and we also tell them the foods that they should not be eating. We also give our clients and exercise program that has been proven over time to achieve the maximum fat loss in the shortest time possible. We tell our patients when they should start eating, how often and how many times they should be eating throughout the day and when to stop eating. We also tell them what to do and what they can eat if they cannot follow the diet program at certain times. 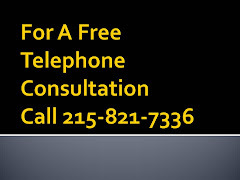 If you have any questions about losing weight or would like a free telephone consultation just give us a call at 215-821-7336 and mention this article.